Mann and Co > Fraud > What is POCA? POCA stands for the Proceeds of Crime Act which was first implemented in 2000. 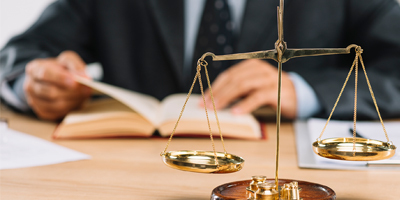 This is a law in relation to the recovery of criminal assets, that can be obtained without all parties in the case being present, including the Defence. These orders can be imposed by the investigating authorities on your assets, which will freeze them. Any money earned as a result of, or in connection with, an offence can be recovered under the Proceeds of Crime Act 2002. Material things such as cars, jewelry and household items can be confiscated, but the court can also freeze your bank accounts, which will stop you from operating, having huge impacts on your business. Authorities can also freeze or obtain your property. Further to this, authorities will limit your monthly spend, having a large impact on your day to day life for both you and your family. Since 2010, more than £746 million of criminal assets have been seized. What Is the Aim of POCA? The aim of POCA is to close loop-holes, ensuring criminals cannot use their assets, and to recover proceeds of the crime. This also deters business people from undertaking criminal activities, as well as influencing others to advise against criminal activities. As Fast Acting Confiscation Team lawyers, we can help if POCA has been enforced on you. We will organise an immediate appointment to analyse the order and make contact with the Prosecution and court to get you back on your feet and proactively advance your case.